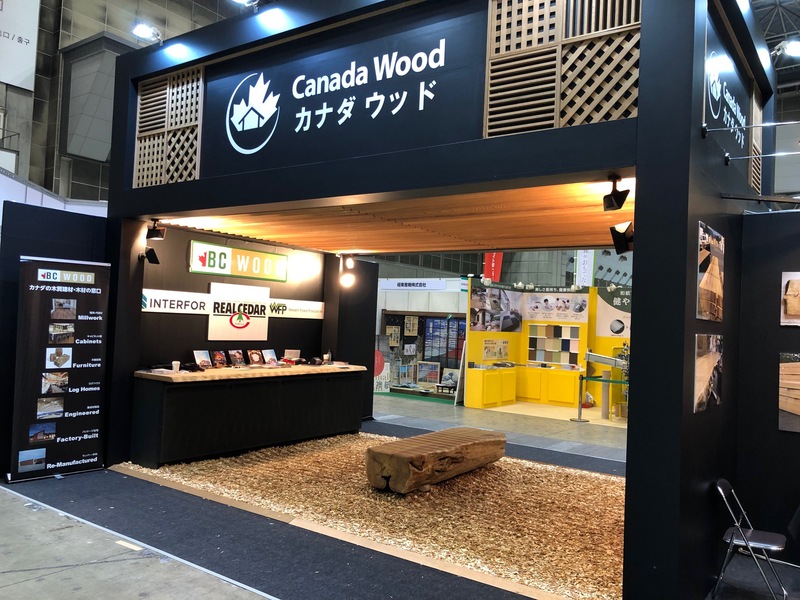 BC Wood once again organized the Canadian presence for Nikkei Messe at Tokyo Big Sight held from March 5th through 8th. This is the largest gathering of construction industry professionals in Japan just over 200,000 visitors having come during the four days of the show, which was a 2.9% increase in attendance over 2018. As a result, the show was busy and we had steady traffic around the eight booth BC Wood Pavilion, home to a total of ten members and related organizations. This year we were also joined by the Ontario Government for whom we arranged a four booth space next to us and thus completing our Canadian island right in front of the Architectural & Construction Materials main entrance. 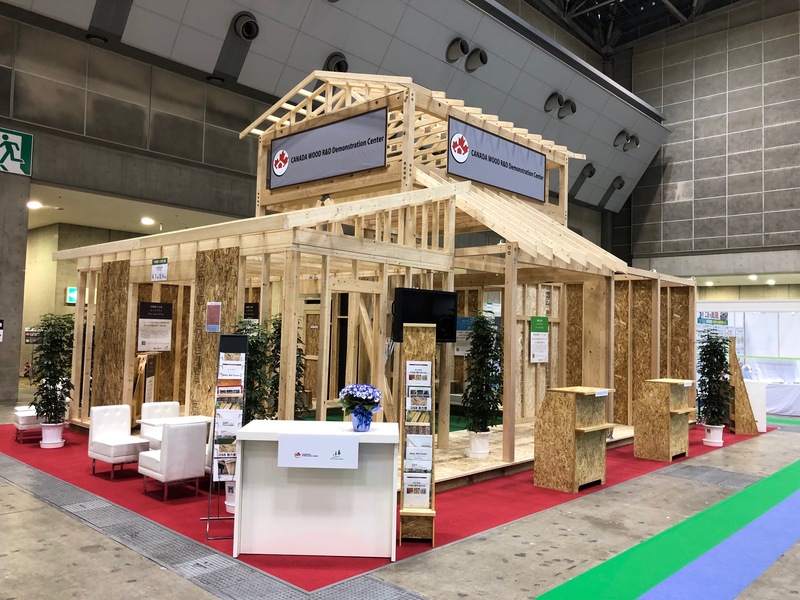 As with the last Japan Home Show, BC Wood also arranged a second pavilion for COFI who exhibited with a full-scale demonstration home showcasing Canadian building technology such as mid-ply wall systems. This show has a strong focus on commercial projects, especially in the hospitality industry. With the growth on inbound visitors and resulting hotel construction rush, we saw a large number of architectural design firms looking for a wide variety of wood products they could use in non-residential projects. As a result, members showing with finishing materials were very busy fielding questions. As Big Sight’s East Halls are being turned over to the Olympic Organizing Committee from July, I have been worried about where the show would be held in 2020. Meeting with the show organizers, I found out that Nikkei Messe will be split into two parts next year, with one half being held at Big Sights West Halls and currently under construction South Halls with the other half being moved out to Makuhari Messe in Chiba. Luckily the Architectural & Construction Materials Show, LED Next Stage, and Japan Shop will be the ones remaining at the much more convenient Big Sight venue. These three exhibitions attract our main targets in both residential and non-residential construction so I do not anticipate a negative impact for our presence. The Nikkei Newspaper’s promotion of this event is very strong so we will be able to expect the same level of high-quality visitors in 2020.